It's hard to come across any business today that isn't at least marginally concerned with the growing risk of cybersecurity threats. But there are some industries that seem to be especially vulnerable to supply chain disruptions, such as manufacturing. 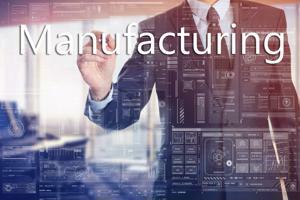 As we recently discussed, manufacturers and retailers expect to make significant investments in digitalizing their supply chains, since doing so can help with areas such as analytics, increased visibility, improved efficiency and automated workflow. And while replacing outdated, siloed systems with more integrated, electronic platforms offers a competitive advantage, it can also come with a handful of risks. Sikich recently released its 2016 manufacturing report that highlighted the state of the industry, as well as some of the pertinent cybersecurity trends impacting the sector. For example, the source revealed that, according to a Verizon study, the number of security incidents impacting manufacturers is on the rise and the threats can - and are - coming in a variety of forms. While some can come from hackers, others are from market rivals seeking intellectual property and/or access to sensitive data and information. Cybercriminals are growing more aggressive and strategic in their tactics, making it extremely important that manufacturing supply chain managers step up their efforts to implement stronger and more effective security measures. Although it may be difficult to enforce an end-to-end cybersecurity solution, it is certainly not impossible. As Sikich pointed out in its report, it is crucial that organizations are able to prioritize their budgets and plans for prevention according to where the biggest risks are - something just one-third of manufacturing companies currently do. Furthermore, conducting vulnerability and risk assessments is critical because it is one thing to invest in technological tools and systems designed to help fuel cybersecurity initiatives. However, without a comprehensive understanding of what the risks are and how to best mitigate against them, these innovations are essentially useless and could end up being a waste of time and money. This is why Sikich recommended that annual IT risk assessments be conducted, as well as simulation tests to demonstrate what would happen if someone were to attempt to hack the network. These evaluations should not just be a one-and-done deal, either. They should be performed on an ongoing basis throughout the year for optimal safeguarding. Global Trade Magazine recently reported that as more organizations share information with suppliers, it is making them more susceptible to cyberthreats. One of the issues contributing to this trend is that not enough companies are making cybersecurity a priority throughout all levels of the business. Therefore, in an effort to create a more protected and resilient supply chain, it is necessary for manufacturers to create an integrated system that connects all tiers and levels of the organization and that allows multiple networks to work together. In addition, when it comes to investing in cybersecurity software for the supply chain, organizations should make sure to invest in a product that enables end-to-end monitoring. Global Trade Magazine also indicated that a company's risk mitigation efforts are only as strong as the plan it creates. For example, it is one thing for a supply chain manager to say that the business plans to dedicate more spend and attention to information security, but an entirely different thing to actually put formal policies and procedures in place. The latter, as well as proper risk training, can help ensure that all workers throughout the organization participate in the program and have clear guidelines to adhere to. The source also added that doing this can help leaders avoid unnecessary complexities and complications as the world of cybersecurity continues to grow and evolve. According to the Sikich report, 51 percent of manufacturing companies said one of the primary purposes of investing in new technology will be to improve customer service and response time, while 38 percent stated the goal is to reduce costs. But, perhaps more importantly, dedicating spend to the appropriate technological innovations is especially important because doing so is needed to offset the rising labor and materials costs expected in the near future. Considering the operational value these digital systems can provide manufacturing supply chains with, it is essential that business executives take the necessary steps in finding the best solutions for meeting their specific needs. However, this should be done with careful attention paid to how even minor weaknesses or loose ends in a particular platform, such as improper training or premature execution, can lead to increased vulnerabilities. Manufacturers should partner with supply chain specialists that can help ensure the appropriate systems and strategies are chosen, as well as correctly installed. The number and intensity of cyber threats are only expected to increase, so it is imperative that companies start safeguarding their operations as soon as possible.